Erica offers individual and group workshops in bookbinding & brickstitch beadweaving. She encourages students to find balance through stillness & silence, to plug into the power of Nature, and to discover and access one's unique, individual expression by honoring the voice within. By emphasizing reciprocity with nature and lineage, Erica urges students to contemplate their impact on the environment, to honor those who have come before, and to make thoughtful choices when sourcing tools and materials. Teaching experiences include: Author of internationally published bookbinding tutorial Bound: Over 20 Artful Handmade Books; author of bookbinding tutorials in various publications; skillsharing at Spiritweavers Gathering 2015-18, Sitka Center for Art & Ecology 2016-17 and Sisters of the Tide's The Art Of Stillness Retreat, children's bookbinding workshops, mentorship, and one-on-one bookbinding lessons. Join Erica in her Orcas Island studio or in an outdoor location for a personalized Bookbinding or Beadweaving lesson. Whether a beginner or looking to enhance your skill set, Erica will help you build skill, provide a tool and materials Resource Guide and walk you step-by-step through the process of building and stitching a journal or piece of wearable art of your choice. Lessons begin with a grounding Tea session (+$13, optional). *Cost of materials is additional. Host a workshop on location at your gathering or event and we will work together to design a curriculum to accommodate you and your group. Email odelae@gmail.com with questions or to schedule a Class/Workshop. For students interested in a DIY approach. 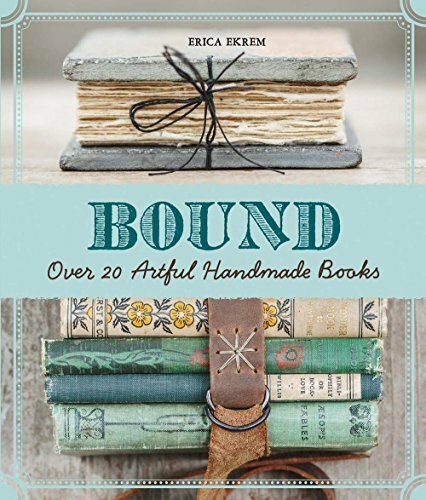 Check out Erica's Internationally published bookbinding tutorial Bound: Over 20 Artful Handmade Books. Available in English and Spanish editions.